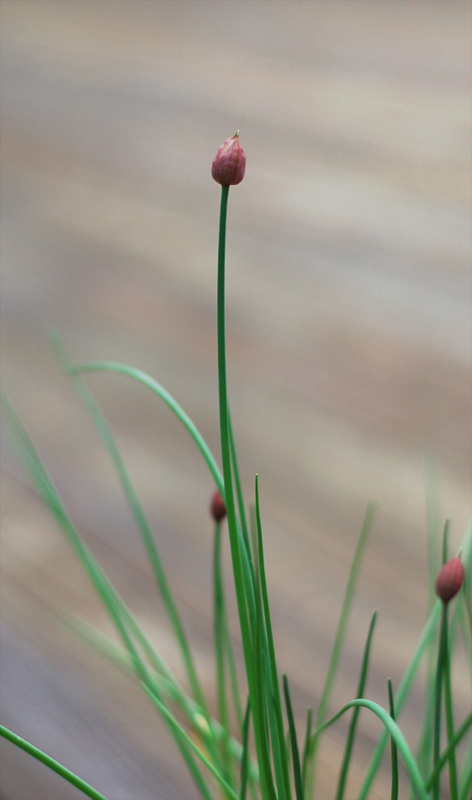 It's Spring and chives are in bloom. This Allium is solely grown for its leaves. Separate the tiny florets of the chives' pink flower and garnish your favorite soup, sprinkle minced chives into your breakfast scramble, add a handful of sprigs to any potato dish, toss with roasted vegetables and fold into biscuit dough or gougeres batter.